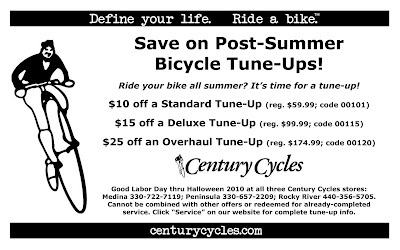 Century Cycles Blog: Happy Labor Day Deal! Even though Century Cycles is closed for the holiday, here's a great deal on labor as our way of saying "Happy Labor Day" -- exclusively for our blog readers, Facebook friends, and eNewsletter subscribers! 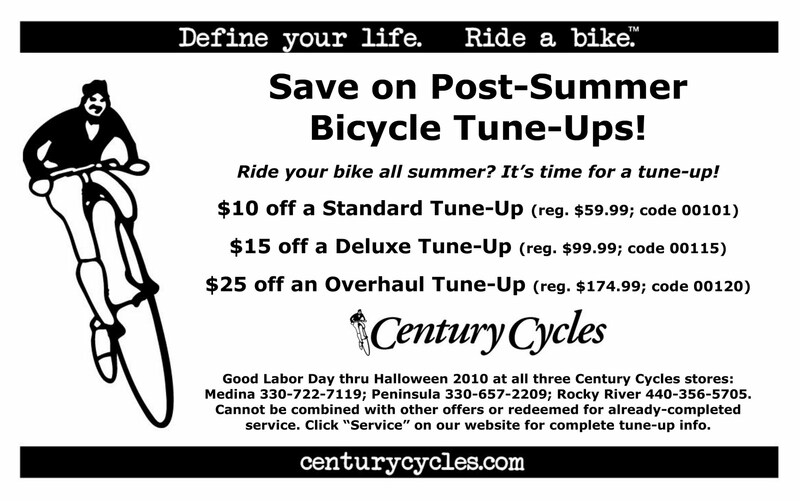 Here's your chance to save on the bicycle tune-up of your choice and get your bike running like new for the awesome fall riding ahead. To redeem, simply print the coupon above and bring it in with your bike at your convenience (no appointment necessary). Can't decide what tune-up is right for you? Click here to read what each tune-up entails, or consult with one of our expert mechanics when you come in -- they'll be happy to help and let you know what the turnaround time is.